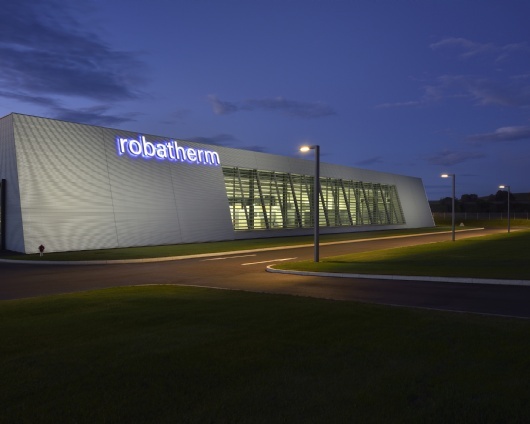 robatherm provides innovative solutions for demanding challenges in the field of heating, ventilation, and air conditioning technology. 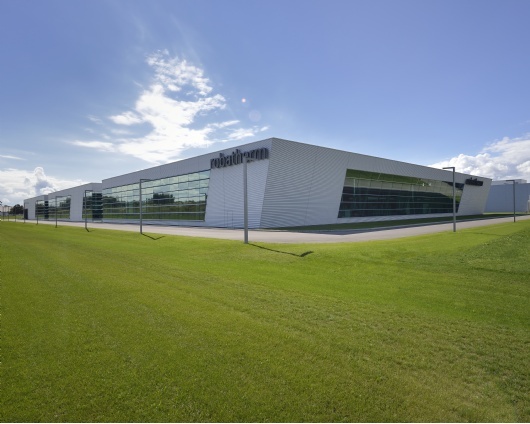 This company, which is now led by the fifth generation of the same family, invested around fifty million euros in the construction of a new factory in the Bavarian town of Jettingen-Scheppach in Germany. Two central buildings there allow for the passage between the six production halls. The architecture and the highly automated production plants in the interior represent a bright, modern high-tech industrial culture with a great consciousness of details. 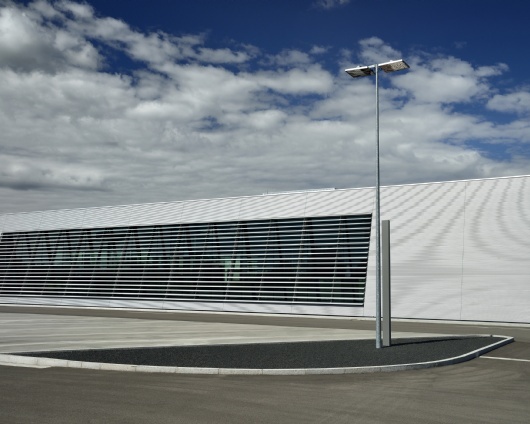 The exterior lighting that fits with it – which was developed by ewo in cooperation with the lighting designers of Lumen3 – provides an example of how the love of perfection and highly developed technology also make bold solutions possible. These are contained within every single one of the reduced-form light poles from the FA series. 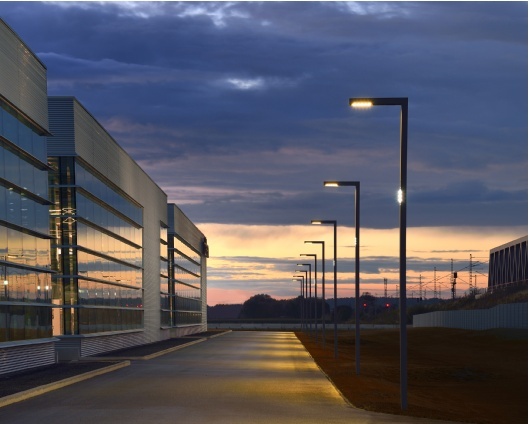 While fulfilling prevailing standards, the horizontal luminaires illuminate the pathways in the factory in a warm white light from a high of six meters (twenty feet). And the illumination of the building? Elements of the EL product series are integrated at the height of four meters (thirteen feet) on the pole. 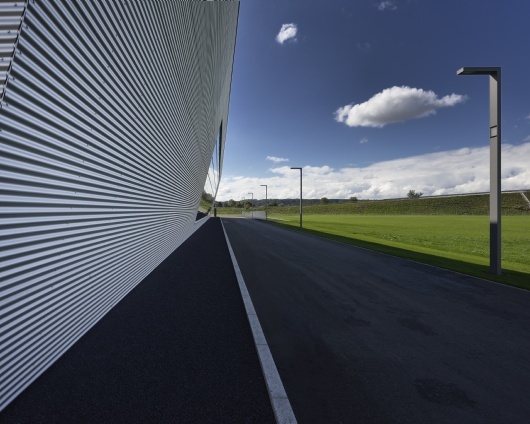 They take on the demanding task of lighting up the corrugated aluminum building façades from a distance. Creating a homogeneous appearance here at night placed great challenges upon the flexibility and performance of the lighting. The different sides of the building, some surfaces of which overhang and some of which slope toward the back, have a reflection level that varies greatly. In addition, the windows for letting in daylight were to be kept to a minimum. The solution: as a standard feature, the LED lighting unit from ewo can be individually customized with regard to the light-emitting characteristics of the individual lenses. 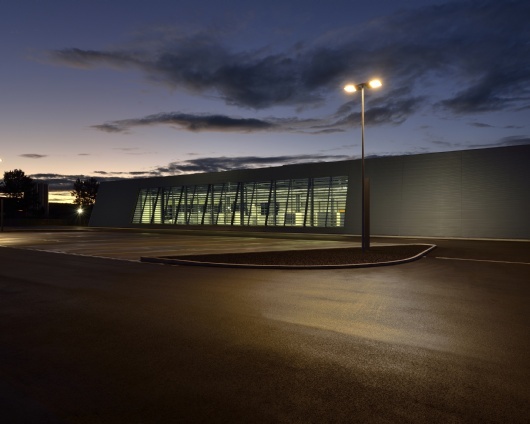 On top of that, though, for the illumination at robatherm, the individual LEDs have been mounted on ball-and-socket joints so that they can rotate and swivel. As a result of this, every single EL module consists of nine combinations of LEDs and lenses that have been customized down to the tiniest detail for the particular situation of the building. Thanks to a precise demarcation of the light fields, there is no mixing between street lighting (3,000 K) and façade lighting (5,700 K). The clear difference in the color temperature enriches the aesthetic impression of the nighttime illumination.